There is notable confusion today regarding what the Word of God says and means. Yet certain Christians have a very clear perspective on what God’s purpose for this life is, and what His expectations are. Faithful Christians do keep His commandments (Ecc. 12:13; Dan. 9:4; Mat. 19:17; John 14:15, 15:10; 1 Jo. 2:3, 3:22, 5:2-3; Rev. 14:12). The Bible is filled with such clear direct instruction. Many (most) professed Christians keep Sunday as their “Sabbath,” not realizing they have erred regarding what the Word of God plainly says—wholly breaking the fourth Commandment by their actions. Conversely, those committed to the Word of God clearly see there is a specific day God has sanctified, set apart and made holy. We are to remember that day and keep it holy (Gen. 2:3, Ex. 20:8-11). Counterfeits and deception are tragically the common premise and paradigm that many theological seminaries and churches operate under. Historians admit the change from Sabbath to Sunday was based on hatred of the Jews by Rome, and the change was made by men, under the pretense of ecclesial authority; yet faithful Christians know that there is no authority to deny the Word of God! History also records faithful disciples refusing to compromise the Sabbath and Passover, being brutally martyred for simply obeying God by keeping His holy time. The framework of God’s Word and God’s Law is Truth. It is the hallmark of all that He says, all that He does and all that He is (John 14:6; 17:17). He is the same, yesterday, today and forever (Heb. 13:8). He does not change (Mal. 3:6). His standard of right vs. wrong has not diminished. He has magnified the law, and made it honorable (Isa. 41:42, Mat. 5-7). Christians are held to a spiritual standard. The New Covenant is the ministration of righteousness (2 Cor. 3:5-11). Some Christians realize that the fourth Commandment also functions as a test commandment. Of course, keeping this commandment is reliant on actually remembering the seventh day to keep it holy (Ex. 20:8-11). We cannot keep something holy unless it already IS holy! It is the day which God has blessed and hallowed, and only that day, which is holy (Ex. 20:11). God is looking for true obedience from His people; and He assures and promises positive outcomes in return (Deut. 5:29). Those who remember the Sabbath Day to keep it holy often experience blessings of understanding and insight into what the Word of God says and means about many Biblical Truths—Truths which many professed Christians do not understand or perceive. It is understandable that God has a “walk in the light which I give you—and I will give you more light” protocol. Yet, if we show Him that we are not willing to walk in the light He give us—why should He grant more light? What would be the point of receiving more understanding—for those who brazenly trample on and reject it? Many who understand the history of the Church of these last days know apostasy has ensued and dominated a majority of God’s people. Few consider that altering a Sabbath may be a vital factor in “turning off the lights” for many of God’s people. The Word of God says, of end-time apostasy: “because iniquity shall abound, the love of many shall wax cold” (Mat. 24:12). Lawlessness is the breaking of God’s law. The love of many has waxed cold. Few recall the final warnings before the span to Christ’s day: “Remember ye the law of Moses my servant, which I commanded unto him in Horeb for all Israel, with the statutes and judgments” (Mal. 4:4). Nor the warning that one of their solemn feasts would take them away with it (Mal. 2:3). Annual Sabbaths are among the Statutes of God. Biblical Statutes are related to one (or more) of the Ten Commandments. God says “For the priest’s lips should keep knowledge, and they should seek the law at his mouth: for he is the messenger of the LORD of hosts. But ye are departed out of the way; ye have caused many to stumble at the law; ye have corrupted the covenant of Levi, saith the LORD of hosts. Therefore have I also made you contemptible and base before all the people, according as ye have not kept my ways, but have been partial in the law” (Mal. 2:7-9). Christ said don’t even think He has come to (Gr. “dissolve”) the law, for He has come to (Gr. “fill it to the full” Mat. 5:17-18). Faithful Christians know the law is holy and spiritual (Rom. 7:12-14). Not a single jot or tittle has passed away (Mat. 5:18). Would there then be a great importance in remembering and correctly keeping holy the time that God has set apart and reserved as holy time? What of time depicting the Church (ourselves) as Firstfruits—and our role in His plan of salvation? But not so with the Feast of Firstfruits. This day does not occur on a fixed date. One must count—beginning with the day after the Weekly Sabbath of the Days of Unleavened Bread—in order to ascertain which day is the Feast of Firstfruits. Why would God instruct His people to count, in order to identify this Sabbath? There are specific truths that contrast with the world’s beliefs, which God desires us to realize by this special occasion. They teach that there is a time-limit on this contest. When Christ returns He will be unable to save the world from hell; it will then be “too late.” Some say by the beginning of tribulation, others say at Christ’s return, some say at a time in-between; when all have chosen either the “seal of God” or the “mark of the Beast—then “probation will be closed;” it will all be over. Yet this paganized teaching represents Satan as far more powerful than God. The Truth is—there is no such contest. God is in complete and total control, and He is fulfilling His purpose. God is just, and is an equal opportunity Savior. Those who never knew—could not have known—will not be damned when they could not have known, understood, or been able to accept the only provision for our salvation (Acts 4:12, Ezek. 37). Yet God is calling out His Firstfruits—at this time (Rom. 8:23; 11:5-7, 2 Cor. 6:17, 1 Thes. 1:4, Jas. 1:18; 2 Pet. 1:10, Rev 14:4). The New Testament Church of God was not founded on Sunday. It did start on the annual Biblical Sabbath of the Feast of Firstfruits. The New Testament Church continued to keep this annual Holyday after a count of fifty days (Acts. 20:16, 1 Co. 16:8). As previously explained, God’s purpose in giving His Church His annual holydays is to remind His children—to keep them in the understanding of—His great plan. To illustrate His plan, God uses the yearly material harvest seasons, common in Israel and much of the northern hemisphere, as the picture of the spiritual harvest of souls and how that will be accomplished. In Israel there are two annual harvests. First, produced by the early rain, is the spring grain harvest. Second, from the “latter rain,” comes the main harvest—the much greater fall harvest. God established this Holyday to picture to His Church, repeatedly—year by year, the fact that only those He Himself calls during this age become His begotten children at this time. God gave this Feast to reveal, to remind us, that this present dispensation is only the first preliminary “harvest of souls.” We—all the called and chosen Christians since the Church began—are actually the first-fruits of the great spiritual harvest! The central passage which summarizes all the holydays is Leviticus 23. All of God’s festivals, proclaimed holy convocations, are here in one chapter. First is the weekly convocation day, the Sabbath, the seventh day of the week. Then follows a list of the annual festivals, also called commanded assemblies, “which ye shall proclaim in their seasons” (beginning at Lev. 23:4). First is the Passover followed by the Days of Unleavened Bread with its two annual Sabbaths bookending these seven days. Then, beginning in verse 10, are instructions for the wave-sheaf offering. The Israelites were not allowed to harvest any of the early grain crop until this day (Lev. 23:14). Then, on the day following the weekly Sabbath that came during the Days of Unleavened Bread, in a ceremony of the Levitical priesthood, the first sheaf of grain was cut and brought to the priest. The priest solemnly waved it before the Eternal to be accepted for them. The actual harvest of the spring crop could then begin—after the ceremony with the first harvested sheaf being waved before God and accepted by Him (Lev. 23:10-14). This pictures not the resurrection, but the resurrected Christ being accepted of God as the very first human to actually be born of God! The very first-fruit of the first harvest of souls! Compare John 20:17 with Mat. 28:9. Christ presented Himself unto the Father the first day of the week, the day after His resurrection (I Cor. 15:20-21; Rom. 8:16-23; Col. 1:15-18). Christ is the true fulfillment of the wave-sheaf offering. The fulfillment of the Wave Sheaf occurred the first day of the week, the morrow after the weekly Sabbath that occurs during the Days of Unleavened Bread. As we have seen with other Holydays—there are often details that we need to pay attention to, in order to get the day right—and to fulfill true obedience to our Lord and Savior. And this is certainly the case regarding this special Holyday. The word “Pentecost” is a Greek word, used in the New Testament, but not in the Old. It signifies “fiftieth.” Regarding the instruction in the Word of God about how to count fifty, the King James version reads “And ye shall count unto you from the morrow after the sabbath, from the day that ye brought the sheaf of the wave offering; seven sabbaths shall be complete: even unto the morrow after the seventh sabbath shall ye number fifty days” (Lev. 23:15-16). This states the starting point and the number of days you shall count. “you shall count fifty days” from “the day that ye brought the sheaf of the wave offering” (which is the morrow after the Sabbath). As mentioned previously, in Hebrew, each day must be completed (i.e. end-of-day-sundown) in order for it to be numbered. After numbering fifty days the Feast of Firstfruits then occurs. “(then) ye shall offer a new meat offering unto the LORD. . . And ye shall proclaim on the selfsame day, that it may be a holy convocation unto you: ye shall do no servile work therein: it shall be a statute forever in all your dwellings throughout your generations” (Lev. 23:16, 21, Lev. 23:16 ESV, Lev. 23:16 NLT). All other holydays or festivals come on definite days of a given month. But this one annual Sabbath must be determined by counting fifty. It is straight forward such that even a child would be able to start counting with a set day, and count fifty days. Yet we have to pay attention to the details. Vital points are often missed, misunderstood, such that many keep a wrong day. It is of grave importance we figure the right day. For the right day, and that day only, is made holy by the Eternal Creator! Suppose at the same time the Church of God was founded, the Apostles had miscounted, so that in Acts 2:1 “when the day (Gr. “the fiftieth day”) was (Gr. “coming to the full”)”—rather than being with one accord in one place, they were in utter discord!
. . . Some still waiting for another day to come . . . Tragically, the confusion outlined above is all too common—perpetuated by several common mistakes that are often made. One common error is in counting from the day after the first annual Sabbath. The erring Pharisees figured it that way. That is why they no longer need to count to the day they observe. But the truth is that wave sheaf was waved on the morrow after the weekly Sabbath. Christ Himself fulfilled that which is pictured by the wave sheaf the day after the weekly Sabbath. The correct start begins with that first day after the Sabbath, the weekly Sabbath, referenced as “Ha Shabbat” in the Hebrew. Further mistakes are often made using assumptions rather than what the Word of God plainly says and means. Tendency is to read-into what the Scripture says, rather than take out of it what it really does say (eisegesis and opposed to exegesis). We need to remember that Christ plainly told us “Till heaven and earth pass, one jot or one tittle shall in no wise pass from the law, till all be fulfilled” (Mat. 5:18). Though heaven and earth will pass away (Rev. 21:1), they have not yet passed away. Forcing an interpretation to say something other than what Scripture truly says and means results in a serious breach of doctrinal integrity. Since Babel (Gen. 11:6-9) language barriers have presented problems for translated understanding and comprehension. We view time from a certain perspective in the English language. In Hebrew days begin and end at sunset. Completion of a day to count it cannot occur until sundown. In Hebrew, it becomes clear when to start, and end, the count. And there is a tendency to amalgamate two different counting methods—fifty days, vs. seven weeks from the Wavesheaf. Commonly—it is understood that if, on a given Sunday, a friend arranges to go fishing or hunting with you “one week from today,” you would meet that friend on the next Sunday to go fishing or hunting. Likewise, one week from Wavesheaf is the following Sunday. Seven weeks is the seventh Sunday. The Feast day then occurs “after your weeks be out” (Num. 28:26). Another critical error has become all too common in recent years. Some churches have begun counting from the day after the weekly Sabbath that occurs before the Days of Unleavened Bread. This happens on years when Passover occurs on the Weekly Sabbath Day. This is based on a mistaken claim the Wavesheaf must occur during the Days of Unleavened Bread. They have arguments as to why they think this should be; yet they do not seem to realize they have taken the Wavesheaf activity, which initiates the harvest itself, and have superimposed commencement of the harvest onto the first High Sabbath Day of the Days of Unleavened Bread; neither do they realize they keep their “Pentecost” over a week early in those years. They contend that Unleavened Bread and the Wavesheaf are inseparable events; yet clearly the Night to Be Much Observed and First High Sabbath represent rejoicing for being set free from slavery to sin—whereas the Wavesheaf represents Christ, after being resurrected, being accepted by the Father—as the very first of the Firstfruits, the first of the harvest of the Firstfruits. God says “Ye shall not add unto the word which I command you, neither shall ye diminish ought from it, that ye may keep the commandments of the LORD your God which I command you” (Deut. 4:2). Adding to God’s Word does not truly keep it. At least one last point should be understood. “Pentecost” has become a common term for this unique Feast of God; yet this usage is actually a misapplication of the Greek. The word is not a proper noun. It should not be capitalized; nor does it even refer to the Feast day itself. It refers to the “fiftieth” day. It refers to the completion of the count. It refers to the completion of the span of 50 days, which is necessary in order to then observe the Feast. What this reveals is that the count, this span of time, was understood by the early Christians, and recognized as a vital fulfillment in order for them to then observe the Feast. The counting of the Jubilee Year is often used as a premise to “settle the matter.” God’s plan is indeed a sabbatical plan. There were the seven days of creation (six by work, and the seventh by rest). God’s plan runs seven thousand years. There are seven annual Sabbaths. There was a sabbatical year every seventh year. To count the Jubilee year, they began counting from (not with, but from) the preceding Jubilee. The first Sabbatical Year of the next cycle was Seven years from Jubilee. Seven of these Sabbatical years were counted. The next year after the seventh Sabbatical year, the fiftieth year, was Jubilee. All this is true. And some would content that this is the way to count to the Feast of Firstfruits. Yet the plain and simple truth is that the count for the Feast of Firstfruits has very specific instruction that differs from the instruction for Jubilee . . .
For example, for Jubilee: “. . . the space of the seven sabbaths of years shall be unto thee forty and nine years. Then shalt thou cause the trumpet of the jubile to sound . . .” (Lev. 25:8-9). Regarding Firstfruits: “Even unto the morrow after the seventh sabbath shall ye number fifty days” (Lev. 23:16). Is there a difference here? “forty and nine years” vs. “fifty days”? The count of fifty is bookended with very clear instructions. The Hebrew preposition “min” is at the beginning, and at the ending, of this count; and the preposition “ad” is included along with the “min”. (These prepositions—are very explicit.) “‘min’ plus ‘ad’ means literally from . . . to, or inclusively, both this and that” Theological Wordbook of the OT (Vol. 1, Pg. 512). Christ said “one jot or one tittle shall in no wise pass from the law” (Mat. 5:18). That law designates: “Include the first day in the count, and include the last day in the count, count a span of fifty days.” This is very different from the Jubilee count. There is no “mi”, “min” or “ad” in the Jubilee Count. No inclusive command. But there is in the 50 day count to Firstfruits. Properly counting (inclusively) until the morrow after the seventh Sabbath (Lev. 13:16)—the Feast of Firstfruits always lands on a “Monday” the second day of the week. Though the Feast of Firstfruits falls on different dates on the calendar; it always begins on the second day of the week—at sundown on Sunday—when the count of fifty days, “the fiftieth“ day, is complete. As with the Sabbath, and Passover, how could the Feast of Firstfruits (the very Feast that represents true Christians from the time of Christ until His return) not also be a test commandment for those who at this time are called to be Firstfruits unto God? Passover symbolizes Christ’s sacrifice for remission of our sins. Unleavened Bread depicts being set free from slavery to sin. The Feast of Firstfruits pictures the first of the Spiritual harvest—Firstfruits, called to be overcomers. The Church began on the Feast of Firstfruits when Holy Spirit was first given to dwell within all flesh as prophesied by Joel (Joel 2:28-29, Acts 2:18). On this day that the Law was given, God gives us the power to finally obey and fulfill His Law and His righteous requirement (Rom. 8:4, 2 Cor. 10:4-5, 2 Tim. 1:7, 1 Pet. 1:1-5, 2 Pet. 1:3). On the Feast of Firstfruits, Wave Loaves were brought out of the habitations of the congregation as the Firstfruits unto the lord (Lev. 23:17). These loaves were baked with leaven, revealing that though forgiven, and in the path of overcoming, the Church still has sin in it. Leaven is a type of sin (Mat. 16:12, Luke 12:1, 1 Cor. 5:6, Gal. 5:7-9). We still have sin in our nature. Perhaps the most overlooked and yet most significant aspect of this Holyday and the dispensation it depicts—is that we, the Church, are called to be overcomers—to be experiencing the miraculous process of conversion, transformation, from being our pathetic human selves to being children of the living God (John 16:33, Rom. 12:21, 1 Jo. 2:13-14; 4:4, Rev. 17:14). James said “Be patient therefore, brethren, unto the coming of the Lord. Behold, the husbandman waiteth for the precious fruit of the earth, and hath long patience for it, until he receive the early and latter rain” (James 5:7). We may recall the parable where the Master’s invited guests made excuses to not attend His supper (i.e. not being worthy of or prepared for Christ’s glorious return), where He said to his servant “Go out quickly into the streets and lanes of the city, and bring in hither the poor, and the maimed, and the halt, and the blind” (symbolic of those needy and wounded—in need of spiritual help and healing), and then He later said “Go out into the highways and hedges (symbolic of those out of the way, and not in the mainstream), and compel them to come in, that my house may be filled” (Luke 14:16-24). We understand Christ’s compassion for God’s people: “But when he saw the multitudes, he was moved with compassion on them, because they fainted, and were scattered abroad, as sheep having no shepherd. Then saith he unto his disciples, The harvest truly is plenteous, but the labourers are few; Pray ye therefore the Lord of the harvest, that he will send forth labourers into his harvest” and “Therefore said he unto them, The harvest truly is great, but the labourers are few: pray ye therefore the Lord of the harvest, that he would send forth labourers into his harvest” (Mat. 9:36-38, Luke 10:1-2). Those called today, “the saints,” will be “labourers into his harvest” in the world tomorrow (Isa. 30:20-21, Luke 12:32, Rev. 1:5-6). And the true Church of God, by preaching the true Gospel, is reaching out to Firstfruits to be called in this age (Mark 16:15). Christ said “joy shall be in heaven over one sinner that repenteth, more than over ninety and nine just persons, which need no repentance” and “I say unto you, there is joy in the presence of the angels of God over one sinner that repenteth” (Luke 15:7, 10). And also “For this my son was dead, and is alive again; he was lost, and is found” and “It was meet that we should make merry, and be glad: for this thy brother was dead, and is alive again; and was lost, and is found” (Luke 15:24, 32). The stress of the Christian life (this side of the resurrection) is not to be taken lightly. We fully understand that ”…many are called, but few are chosen.” Sadly, many have and will fall and fail through trial and temptation (Dan. 11:35, Mat. 20:16; 22:14). Sobering as it is, there is yet to be a great multitude of all nations that come out of great tribulation and wash their robes and make them white in the blood of the lamb (Rev. 7:9-14). Earthshaking events will occur before the end of this age (Rev. 16:18). Yet, when the wedding is ready, the Father desires that His Son’s Wedding Feast be completely filled with guests (Mat. 22:8-10). Will there be an urgent end-time calling with the Father calling His Firstfruits even from the “highways and hedges” (Luke 14:23)? The fourth commandment regarding the Sabbath is a dual commandment—saying “six days shalt thou work” (Exo. 20:9; 23:12, 31:21, Deut. 5:13) as much as “Remember the Sabbath to keep it holy.” Likewise, the command regarding Firstfruits is a dual commandment in that it commands us to count a complete span of fifty days, before the Feast can then come to pass. 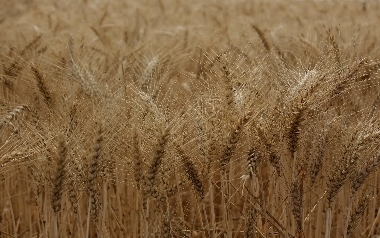 And thou shalt observe the feast of weeks, of the firstfruits of wheat harvest” (Ex. 34:22). ” . . . shall ye number fifty days” (Lev. 23:16). ” . . . in the day of the Firstfruits . . . bring a new meat offering unto the LORD, after your weeks be out” (Num. 28:26). Leviticus 23 teaches us that Israel was not allowed to begin their first (spring) grain harvest until they brought the wave-sheaf to the priest to be offered before God to be accepted by Him (symbolic acceptance of the resurrected Christ), and it was then, after the acceptance of the very First of the Firstfruits, the overall spring harvest could then begin (Lev. 23:10-14). The harvest of the Firstfruits would begin after the Wavesheaf and would continue until the consummation, which was celebrated at the Feast of Firstfruits when special loaves, from the first-fruit harvest, were baked with leaven (Lev. 23:17). It becomes apparent that the commanded span of fifty days represents the “appointed weeks of the harvest” (Jer. 5:24), which represent the appointed time of growing, maturing, ripening and harvesting of the Firstfruits. Christ said: “Abide in me, and I in you. As the branch cannot bear fruit of itself, except it abide in the vine; no more can ye, except ye abide in me . . . Herein is my Father glorified, that ye bear much fruit; so shall ye be my disciples” (John 15:4, 8). In a very tangible sense, the time and action of counting fifty days is momentous when we realize it represents the span of time God is calling Firstfruits to become more like Christ in preparation to serve Him, and serve with Him, in His Kingdom! This time-span of fifty days represents the time of calling and preparing all the Firstfruits to be called during this dispensation. Peter reminds us, regarding Christ’s second coming: “The Lord is not slack concerning his promise, as some men count slack-ness; but is longsuffering to us-ward, not willing that any should perish, but that all should come to repentance” (2 Pet. 3:9). May God help us fully comprehend this of the ”depth of the riches both of the wisdom and knowledge of God” (Rom. 11:33). God calls His holy Firstfruits (Rom. 11:29, 1 Co. 1:26; 7:20, Eph. 1:8-12; 4:4, Phil. 3:14, 1 Th. 1:11, 1 Ti. 1:9, Heb. 3:1, 2 Pet. 1:10). From Christ’s resurrection (Wavesheaf) until the Feast represents this Christian dispensation when Firstfruits are being called. We have a direct part in obeying God, in fulfilling His holy will—in order to be prepared—to participate in His holy Kingdom. God desires His called to be there (2 Pet. 3:9). “Precious in the sight of the LORD is the death of his saints” (Psalm 116:15). Christ said “…It is not for you to know the times or the seasons, which the Father hath put in his own power (Acts 1:7). “…of that day and that hour knoweth no man, no, not the angels which are in heaven, neither the Son, but the Father“ (Mark 13:32). And in Isaiah He says: “And therefore will the LORD wait, that he may be gracious unto you, and therefore will he be exalted, that he may have mercy upon you: for the LORD is a God of judgment: blessed are all they that wait for him” (Isa. 30:18). Seven weeks represents completeness. Fifty depicts the age of maturity—when the Priesthood was transitioned to a role of guidance and counseling (Num. 8:25-26). Is it not humbling and reformative to realize that God has specifically depicted our time of being called, of our growing and maturing, as Firstfruits? And that duration of time is only in the hands of the Father. God desires the growing and maturing of the called Firstfruits to be complete—not missing or lacking for the habitations He desires us to fulfill (John 14:2). The Father desires the Wedding Feast of His Son be filled with guests (Luke 14:23, Mat. 22:10). Equally, the Father has told the Son to “Sit thou at my right hand, until I make thine enemies thy footstool” (Ps. 110:1, Mat. 22:44, Mark 12:36, Heb. 1:13). And then David goes on to say “Thy people shall be willing in the day of thy power” (Ps. 110:3). Thanks be to God that this is His “dispensation of grace” (Eph. 2:22-3:2), and that we are in His tender hands Who loves us and Who desires for ALL of His children to be saved (John 15:16; 16:23-27, 1 Tim. 2:4, 2 Pet. 3:9, 1 Jo. 3:1, 2 Jo. 1:3; 2:24). God is in control of His time, His purpose, His plan. There are yet many Spiritual realities beyond our ability to understand (Isa. 55:8-9). Yet it is clear that His desire is for ALL to be saved (1 Tim. 2:4). And there can be no doubt but that His heart is longing for His children to come to Him, and for the Wedding Feast to be filled (Luke 11:10-13, John 4:23-24, Rom. 8:22-28). God the Father is preparing and paving the way for His Son to return and reign in His Kingdom. And we are a vital part of that preparation (Dan.7:18, 22, 27) “…and the LORD my God shall come, and all the saints with thee. (Zec. 14:5, Zec. 14:7). Why does God require His people to count a complete span of fifty days in order to then keep the Feast of Firstfruits? It depicts His alloted time of the calling, ripening (preparing), harvesting and storing of the Firstfruits for His future utilization. The commandment is for the count to be inclusive and complete before the Feast can take place (Lev. 23:16). God does not want a single Firstfruit to fail, or a single office to be unfulfilled (1 Tim. 2:4, 2 Pet. 3:9, John 14:2). The Father desires His Son’s wedding to be furnished with guests (Mat. 22:8-10). He is assuring the bride He has selected has made herself ready (Rev. 19:7-9). He desires us to understand that this crop and yield must be full and complete in order to fulfil His holy purpose and perfect will. He is a God of completeness and perfection. He is performing His calling (selecting) and nurturing (preparing) in this present dispensation; and He will fulfill His work (John 4:34-35, Rom. 9:28, 2 Cor. 9:8, Eph. 2:10, Phil. 1:6, Heb. 13:21, James 1:4). With such precious insight and significance, let us sincerely look forward to the completion—the fiftieth (pentecost)—when all of the saints will have been called, prepared, and made wholly and perfectly ready to serve as Firstfruits unto the Lord!